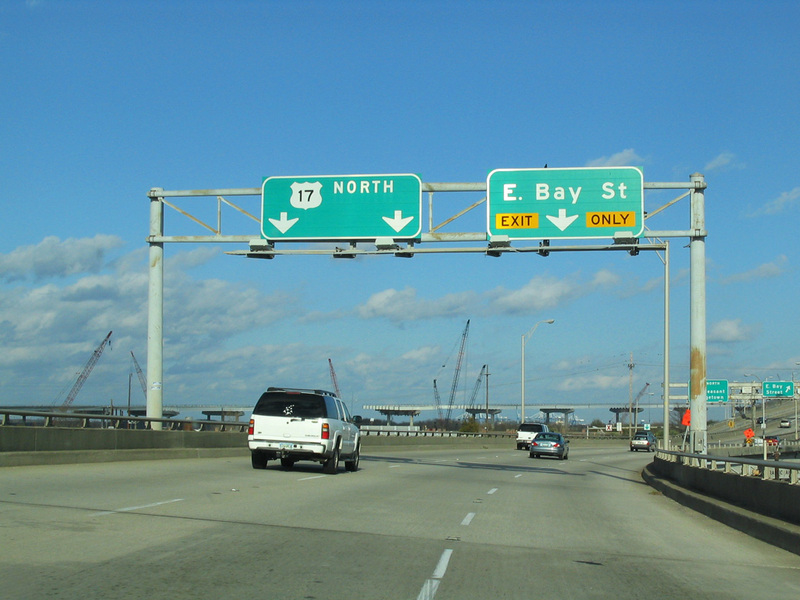 U.S. 17 travels a coastal route through the South Carolina LowCountry from Savannah and Hardeeville northward to Charleston, Myrtle Beach and the Grand Strand. 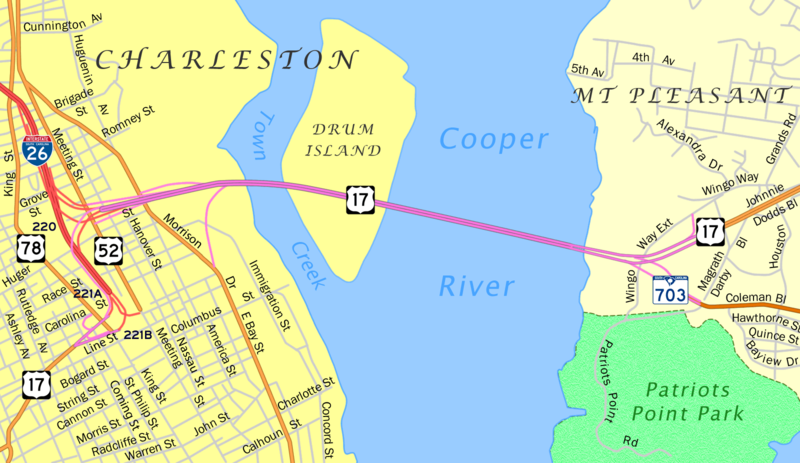 An alternate route follows a more inland course from Walterboro east to Summerville and north to Georgetown. 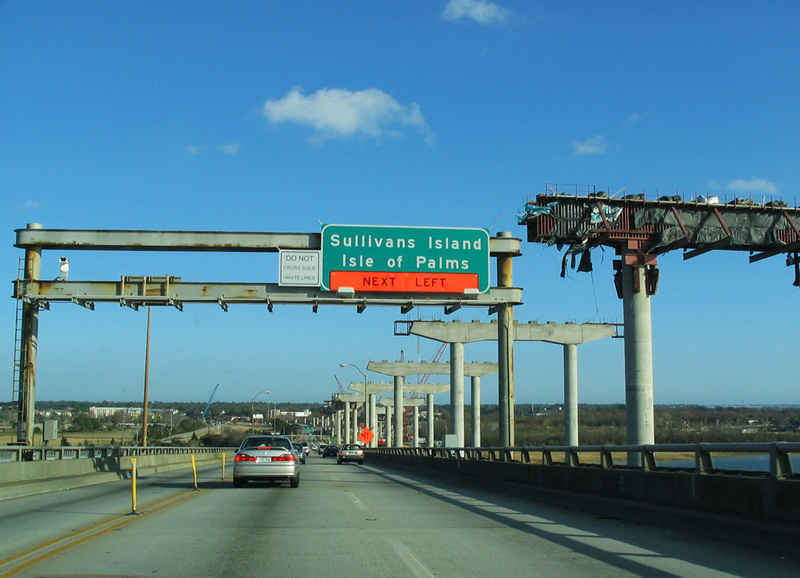 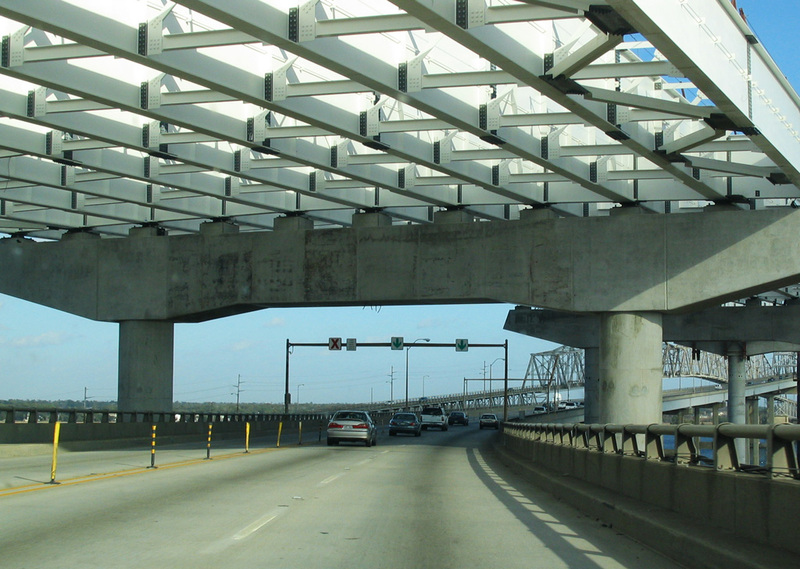 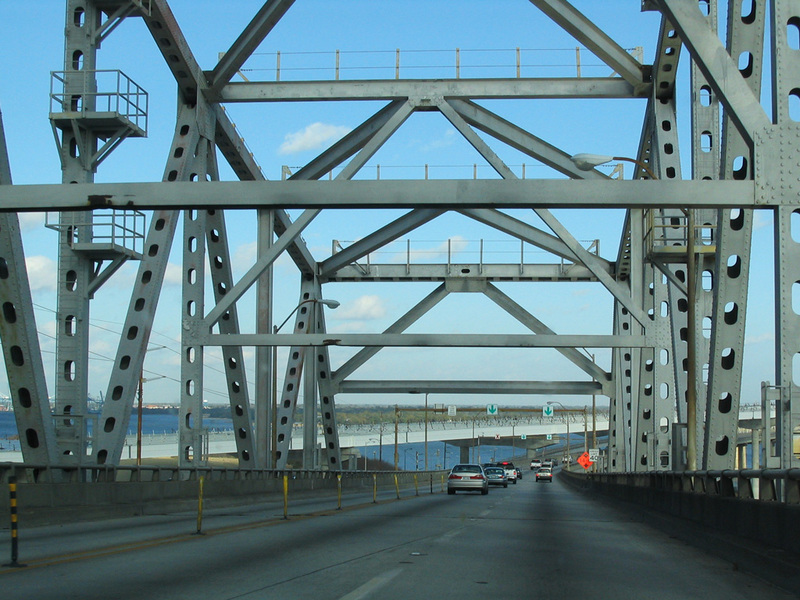 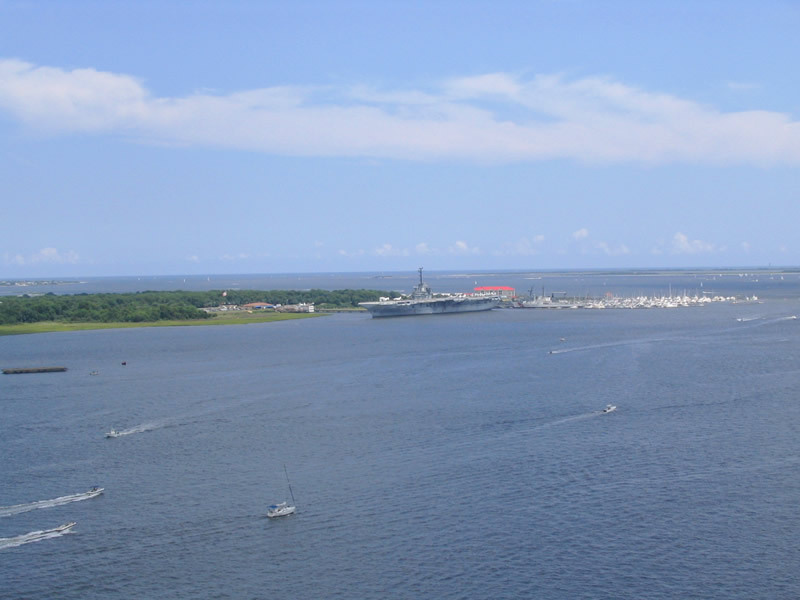 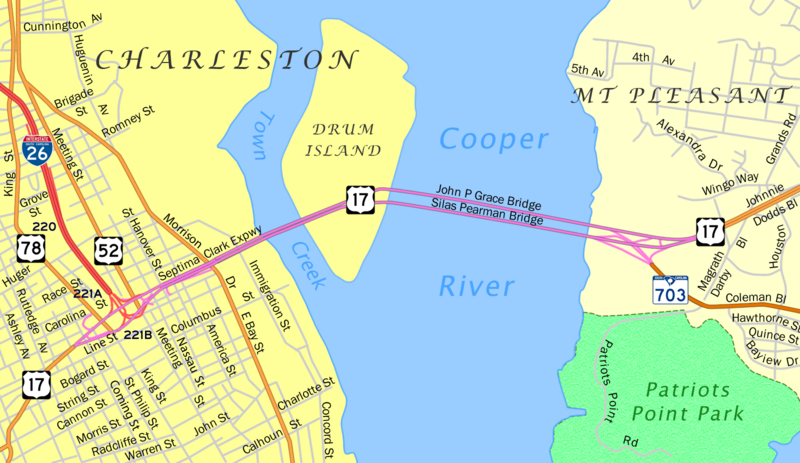 Prior to 2005, U.S. 17 spanned the Cooper River between Charleston and Mount Pleasant across a pair of aging cantilever bridges. 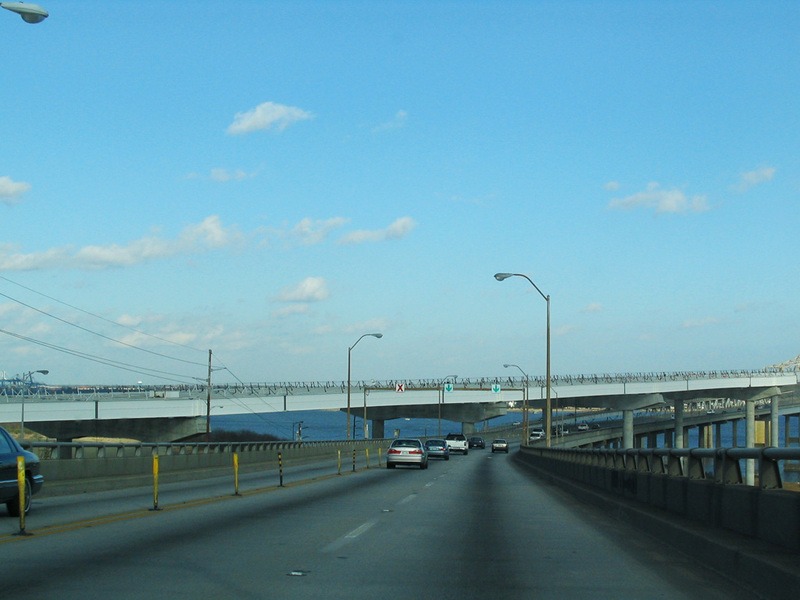 Northbound traffic used the Silas Pearman Bridge while southbound motorists traveled across the narrow John C. Grace Bridge. 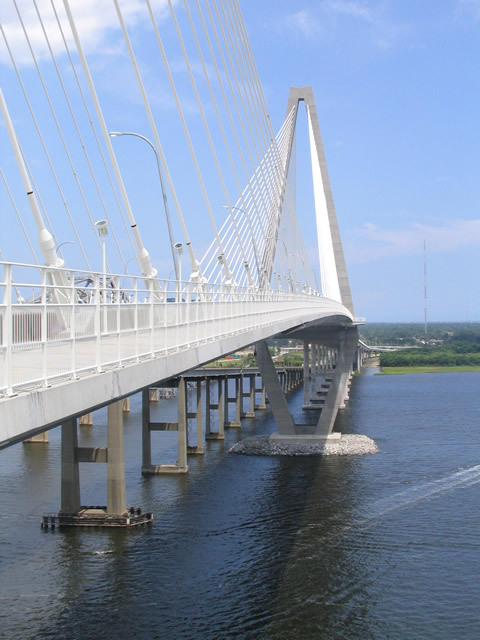 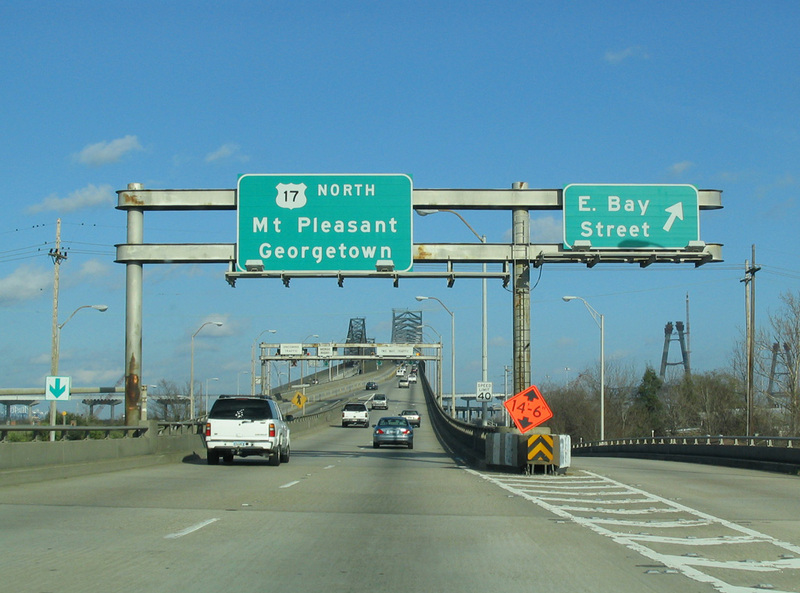 The Septima Clark Expressway linked the two spans with both Interstate 26 and U.S. 17 leading southwest toward Downtown Charleston. 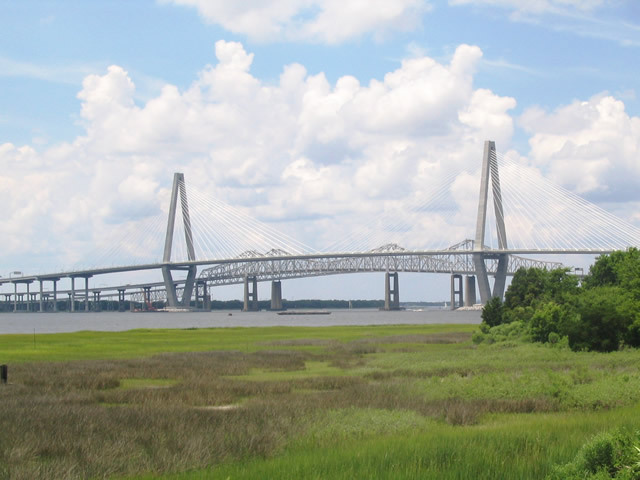 Construction began on the first Cooper River Bridge between the city of Charleston and town of Mount Pleasant in 1928. 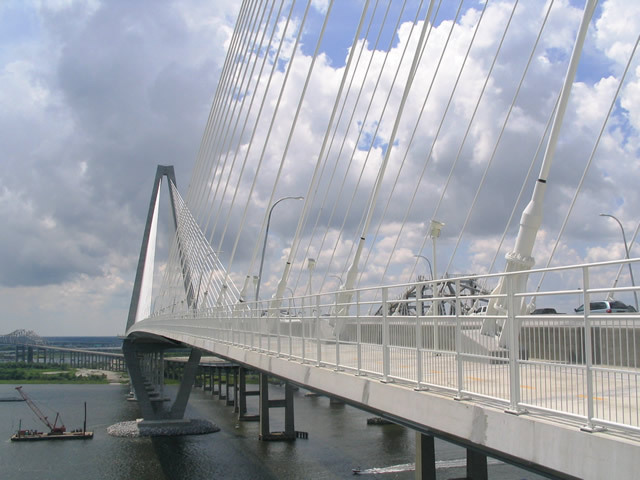 John C. Grace, a local Charlestonian, spearheaded support for the crossing. 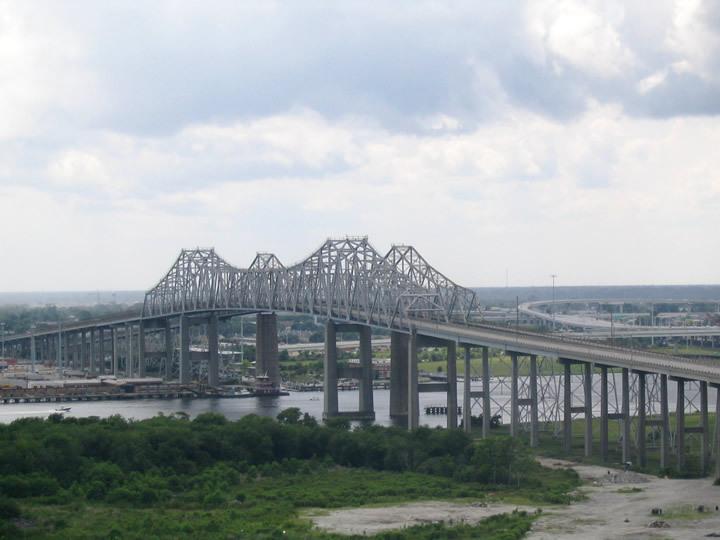 It only took 17 months to build the bridge, which opened on August 8, 1929. 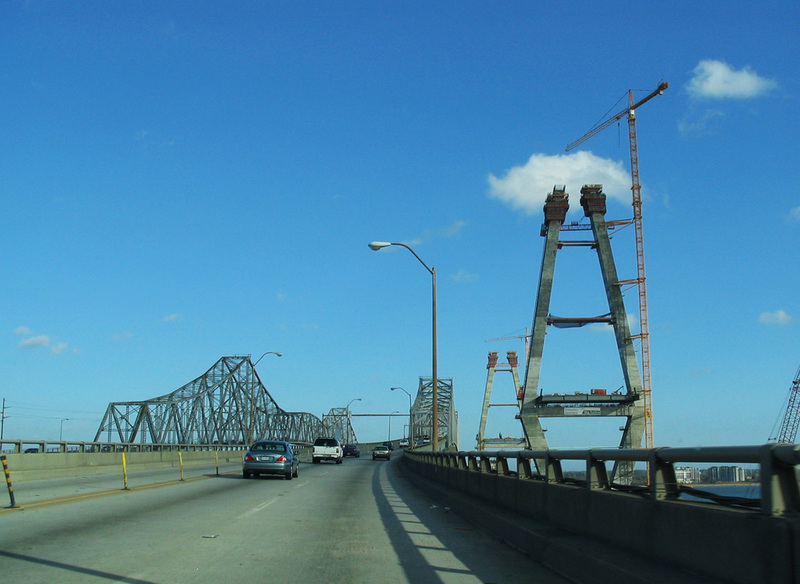 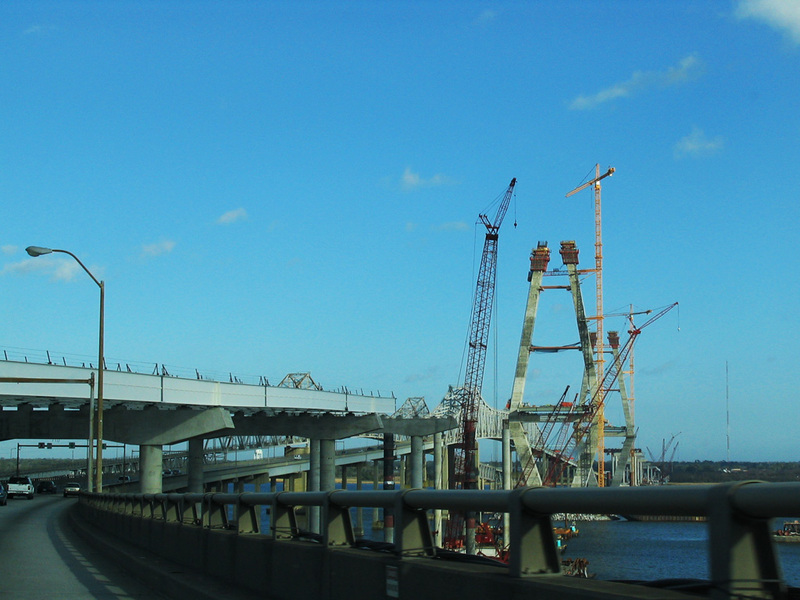 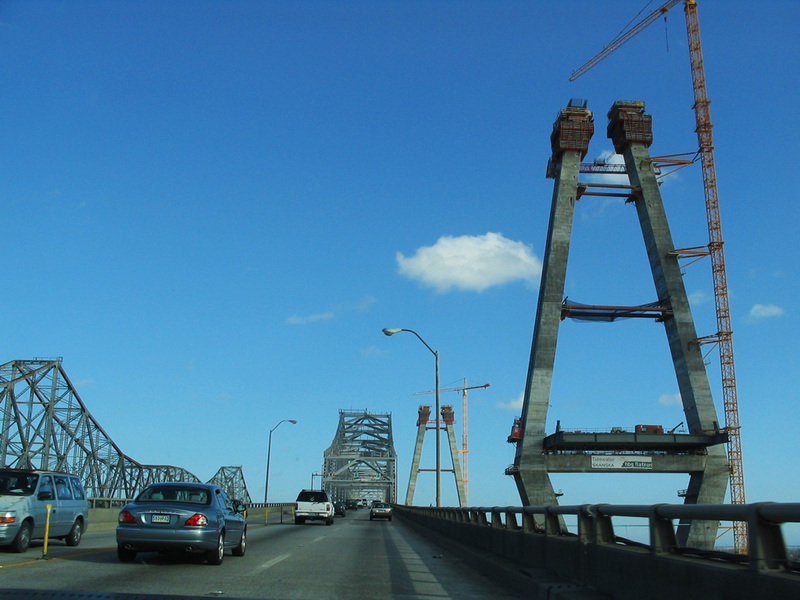 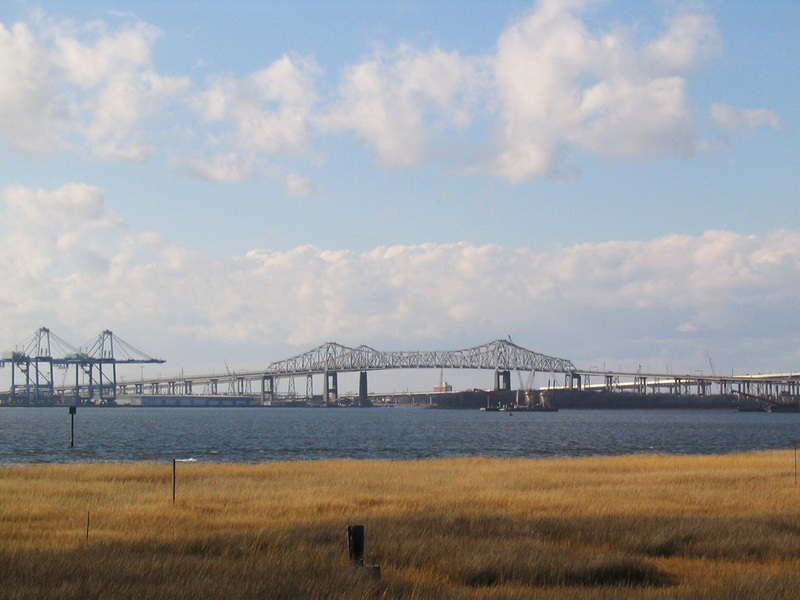 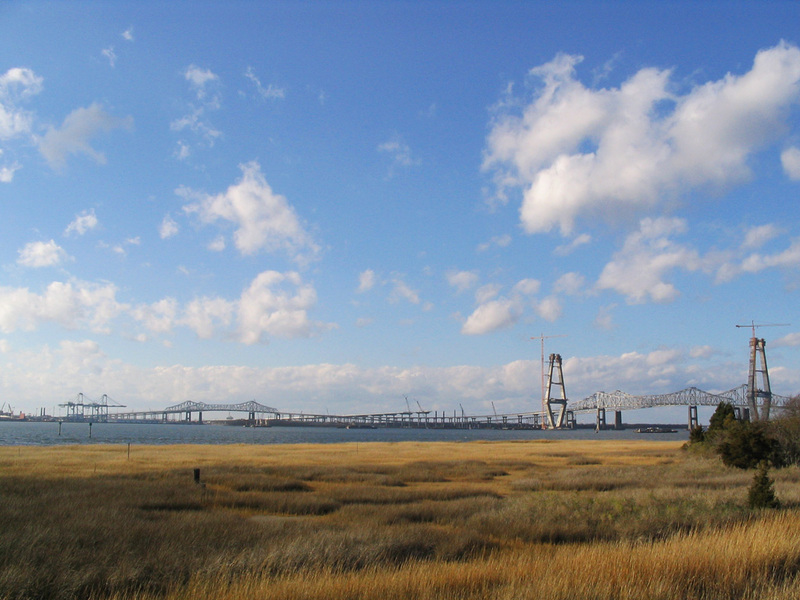 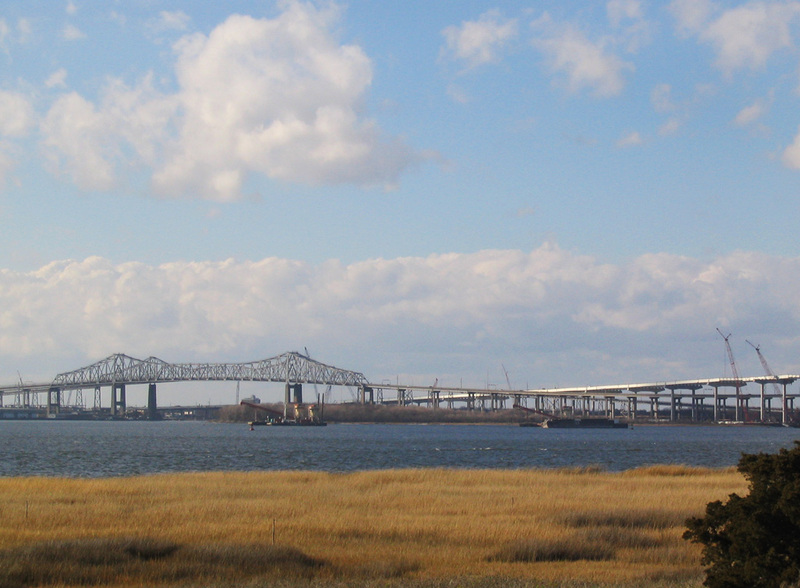 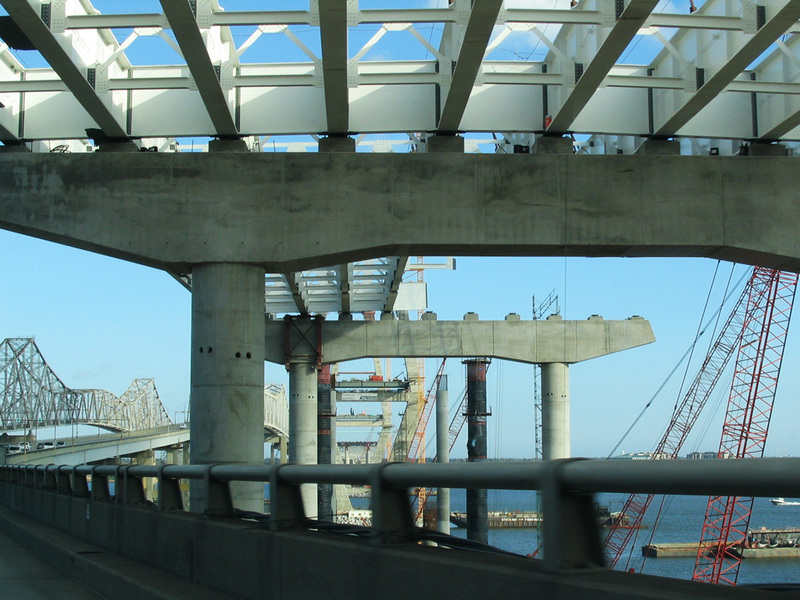 The two-lane span measured 2.71 miles in length and cost approximately $6 million to build. 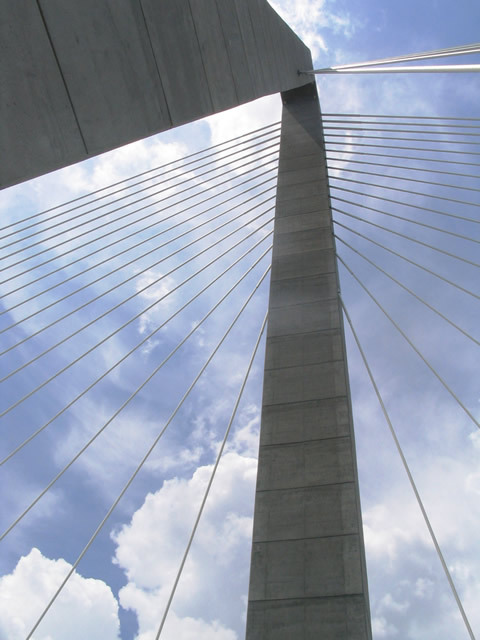 When it opened, it constituted the fifth longest bridge in the world, with a 1,050 foot span between its supports. 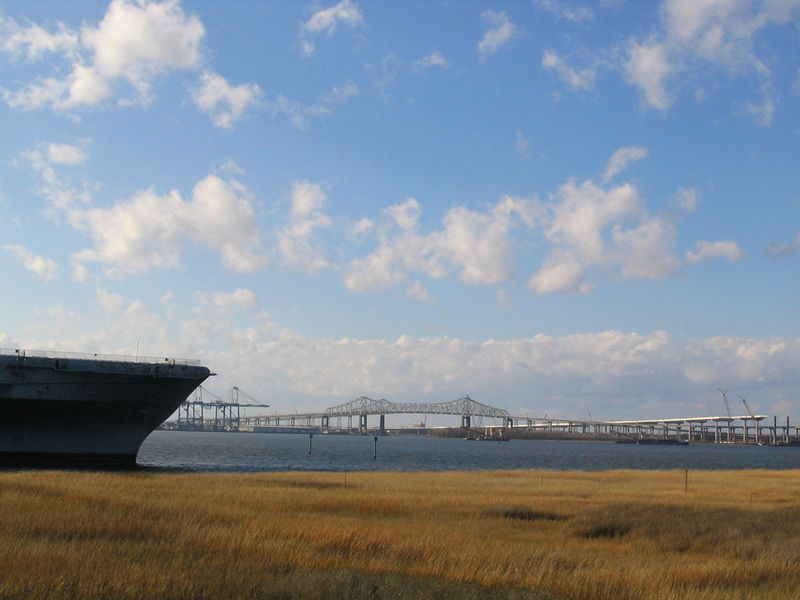 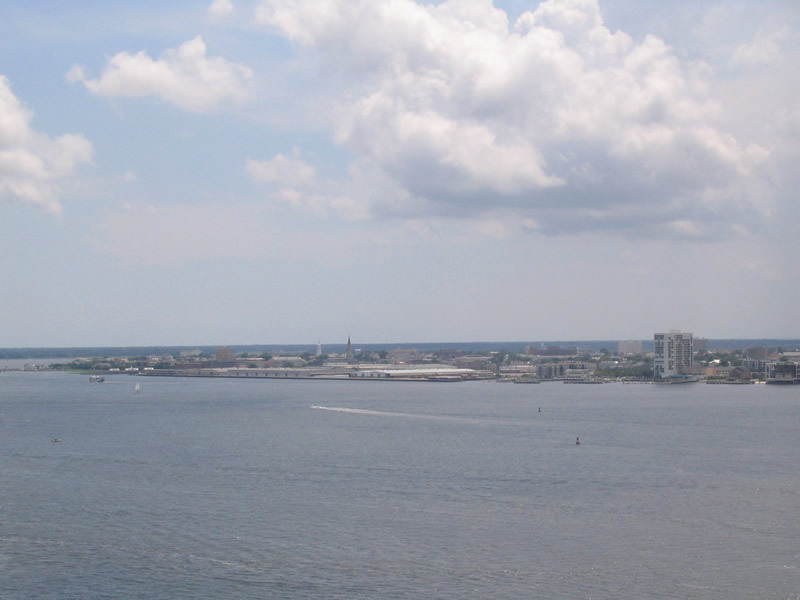 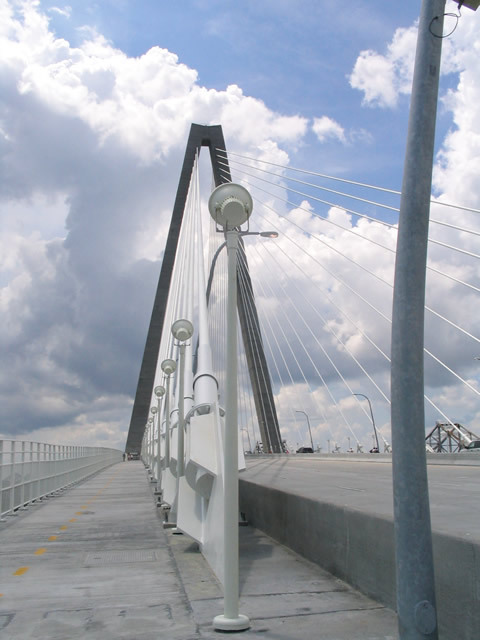 The John C. Grace Bridge provided 150 feet of navigational clearance above the Cooper River. 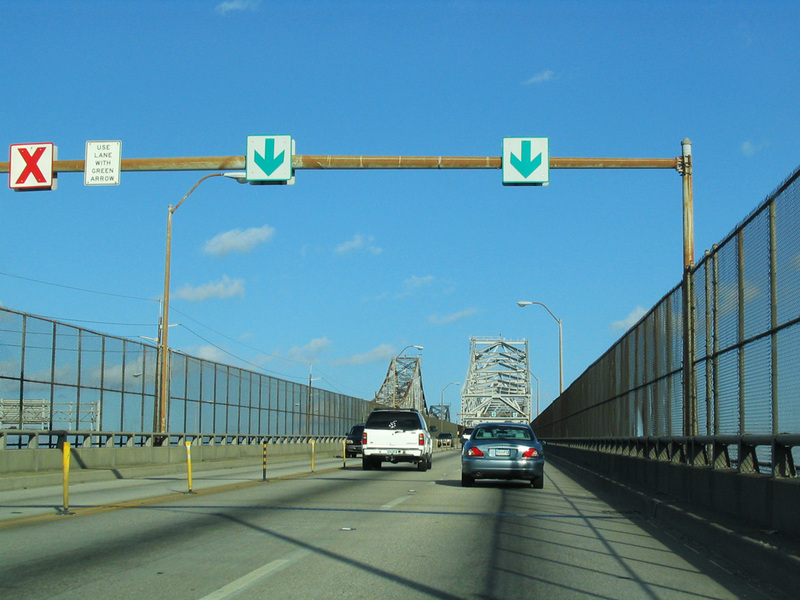 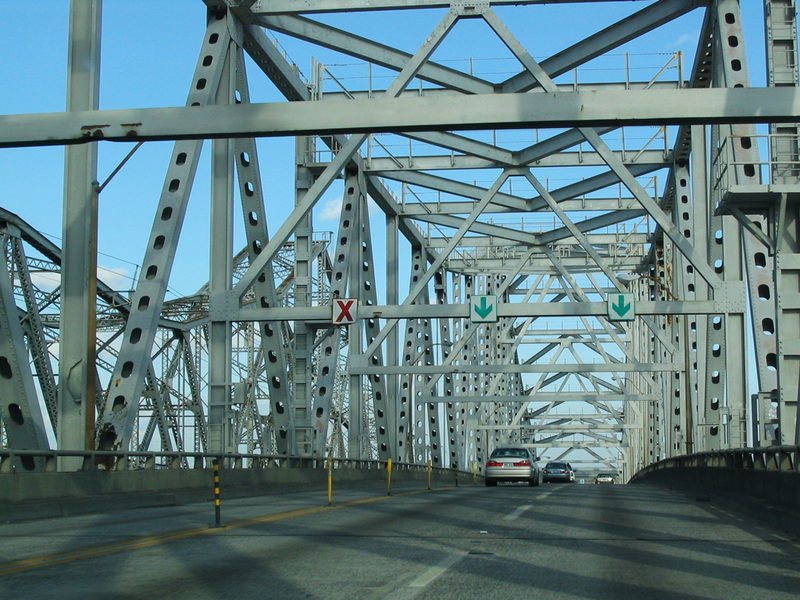 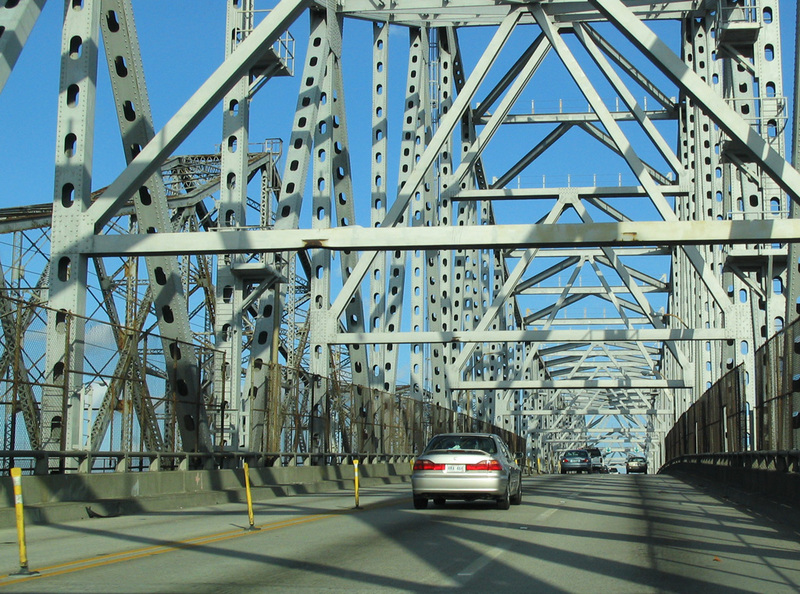 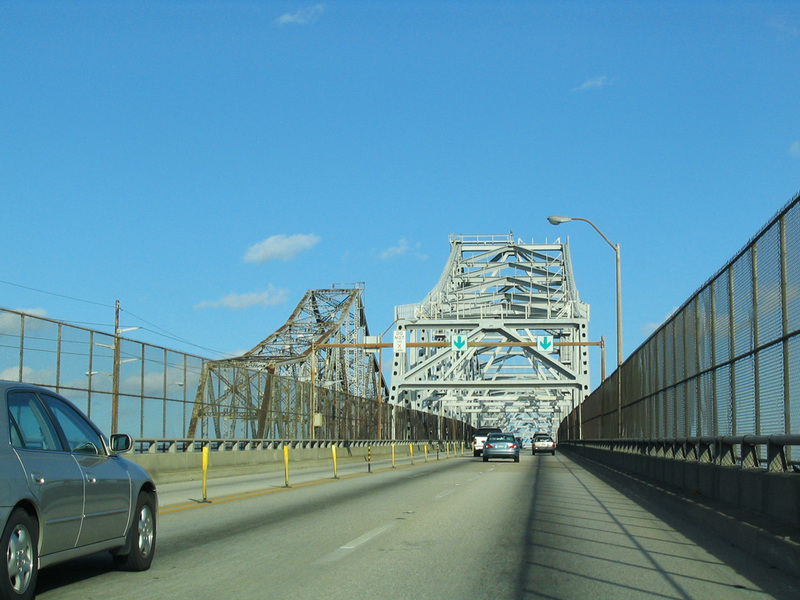 Tolls were collected for the John C. Grace Bridge at a rate of 50 cents per passenger vehicle. 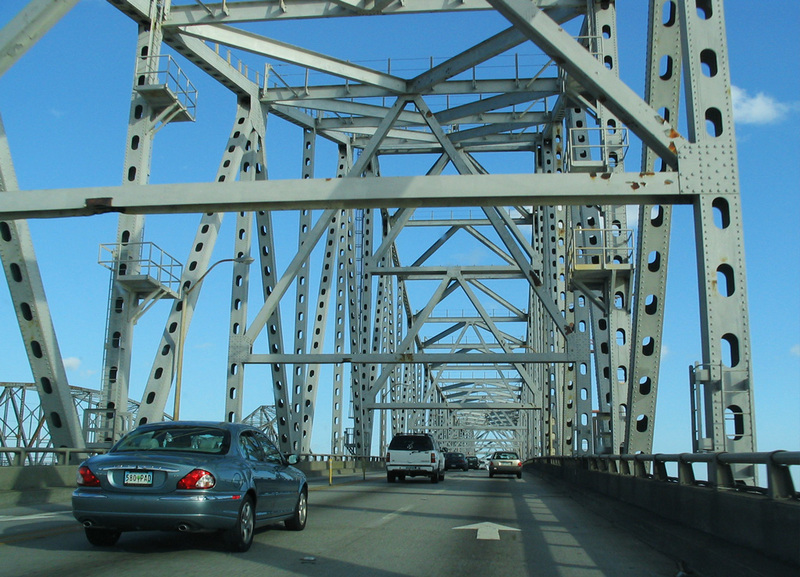 The state of South Carolina purchased the crossing from Cooper River Bridge, Inc., operators of the span, in 1946. 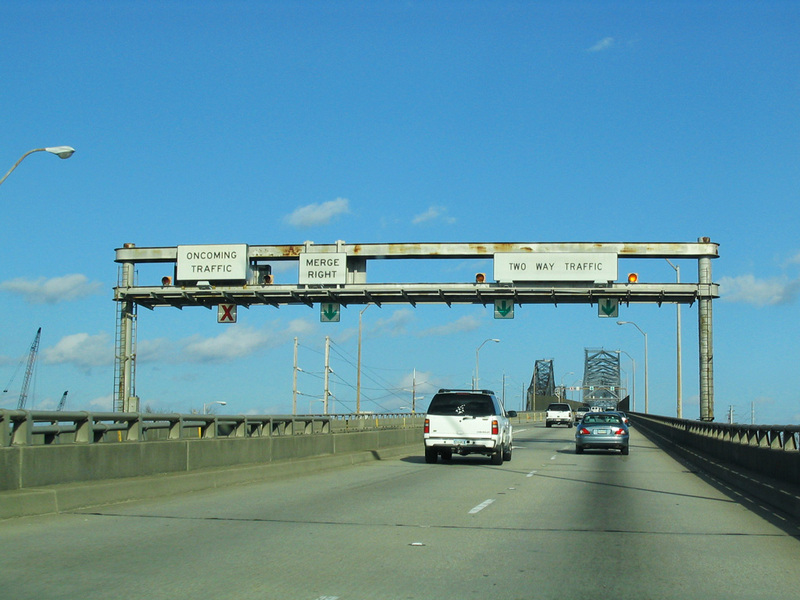 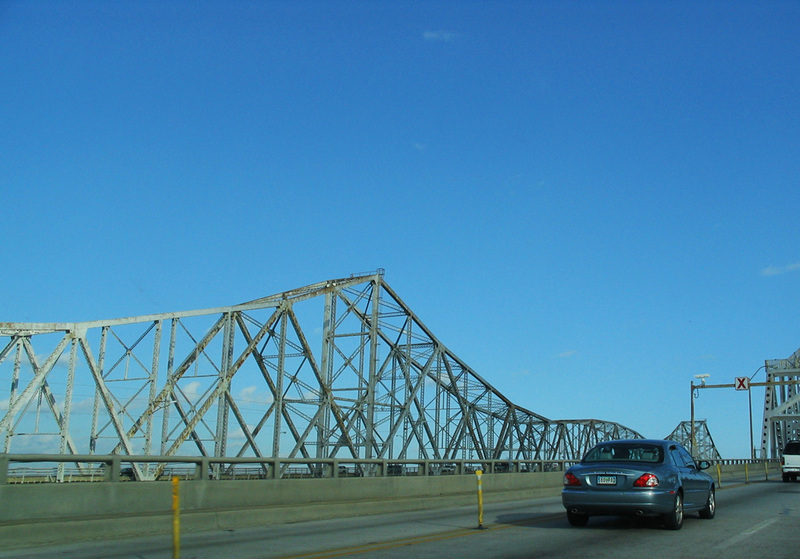 Tolls were discontinued following completion of the sale. 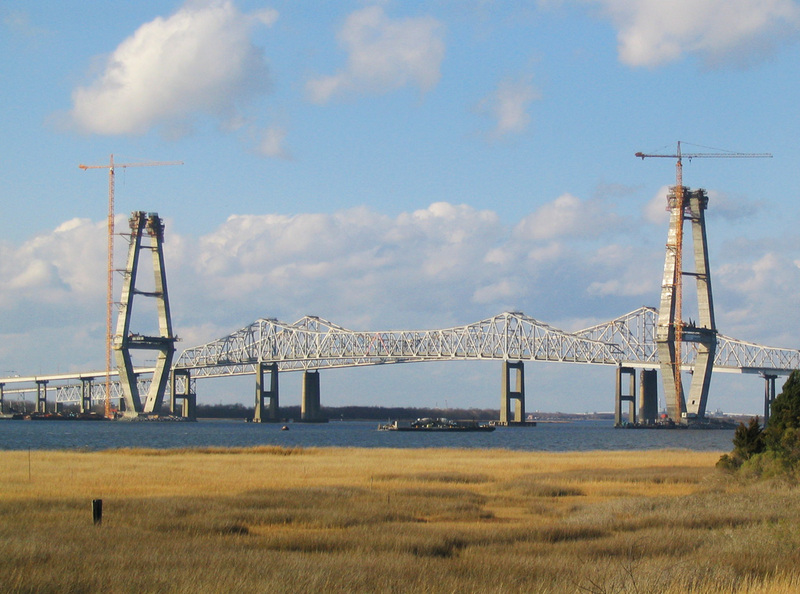 Unfortunately during that same year a freighter rammed the bridge, knocking down a 240-foot segment of the deck. 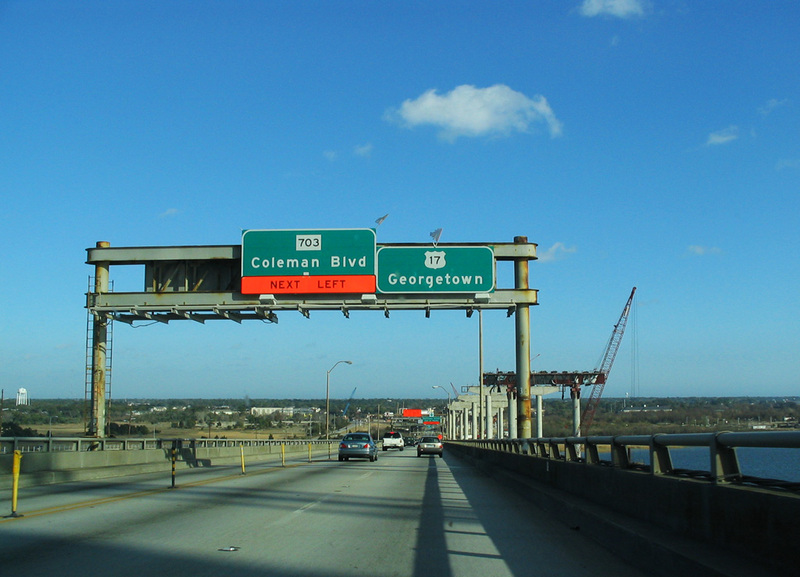 Dedicated to Chief Highway Commissioner Silas N. Pearman, the northbound U.S. 17 bridge opened to traffic on April 29, 1966 at a cost of $15 million. 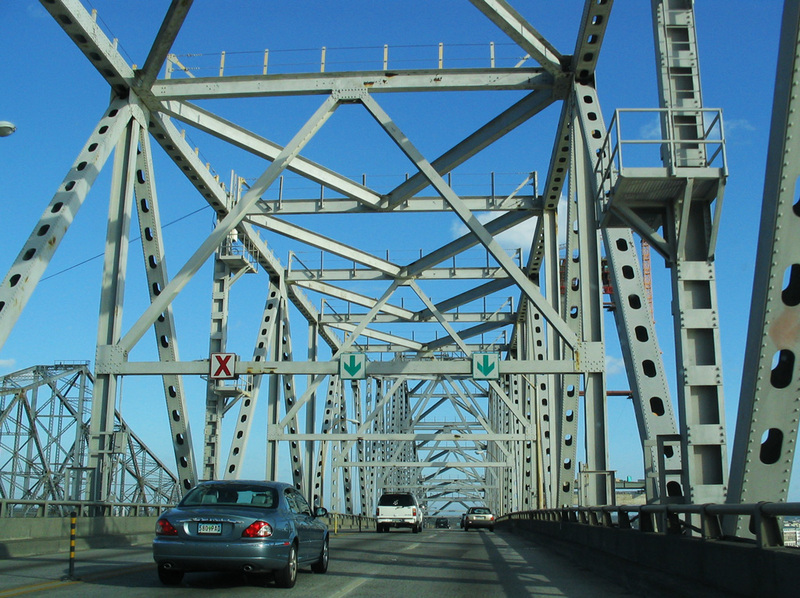 Preliminary construction began in 1961 and actual bridgework commenced in 1963. 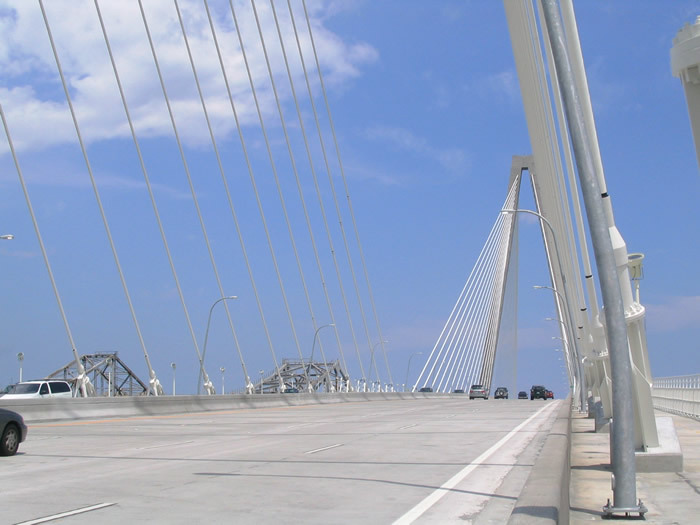 The newer bridge accommodated three travel lanes across a 38-foot wide roadway, which was a vast improvement over the ten-foot wide lanes across the John C. Grace Bridge. 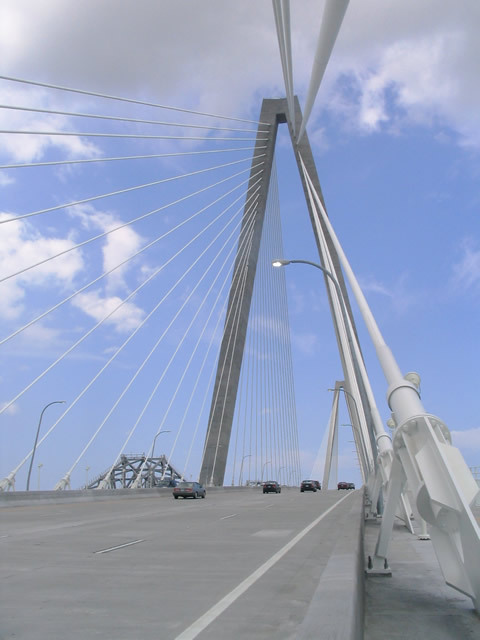 The Ravenel Bridge provides 186 feet of vertical clearance above the high tide mark of the Cooper River, near 50 feet above the predecessor bridges. 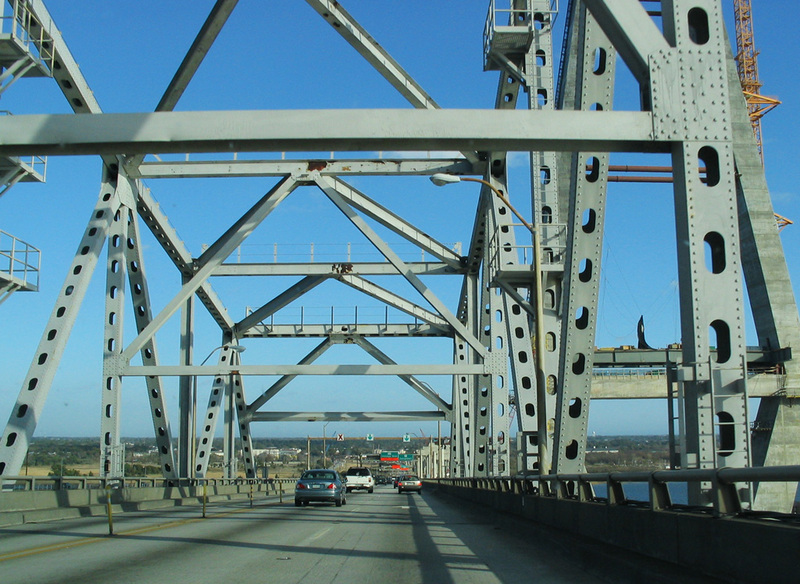 During all phases of bridge construction, both cantilever spans remained in use. 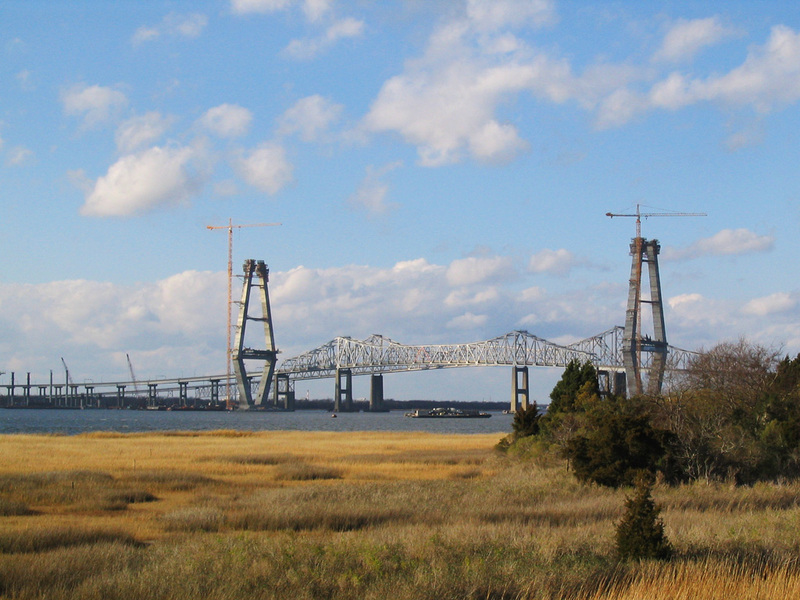 During latter stages of work, the Ravenel Bridge actually passed over the old bridges at a point near Drum Island. 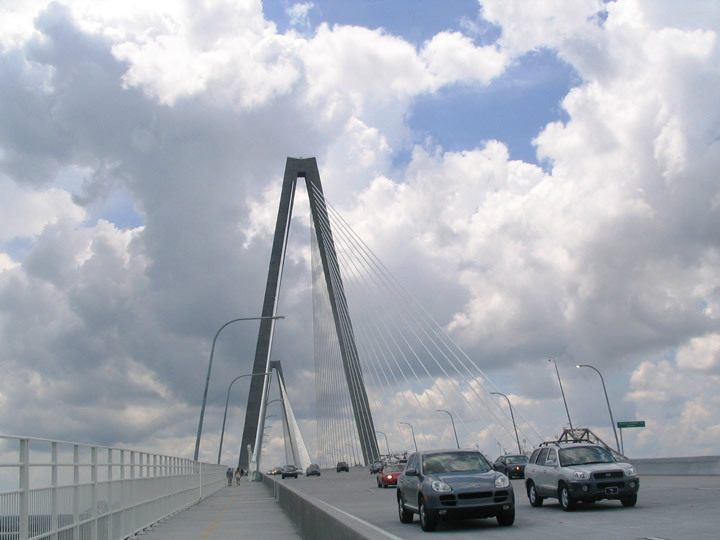 The spectacle of the bridge work acted as a tourist attraction for the city of Charleston. 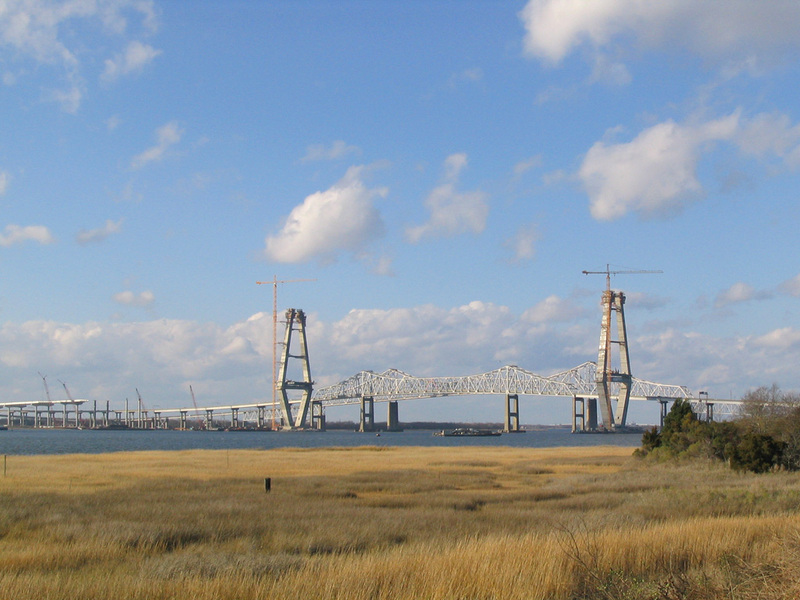 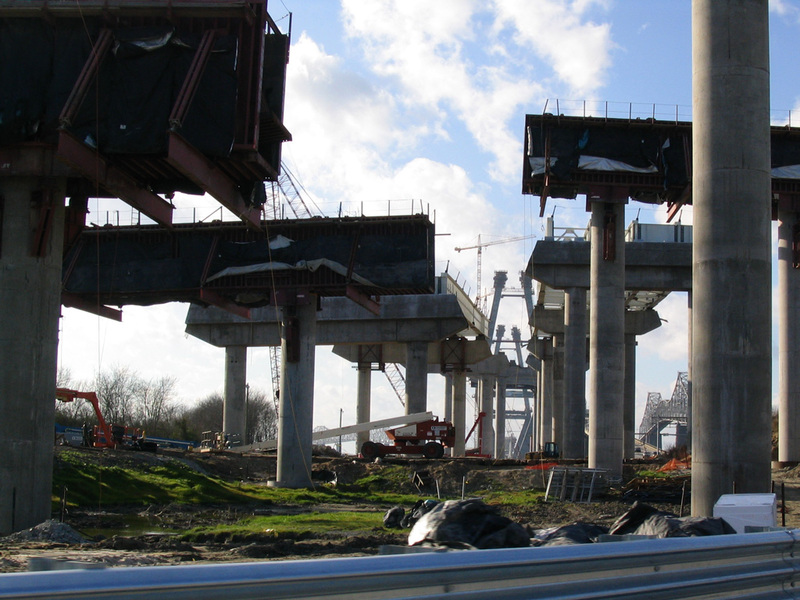 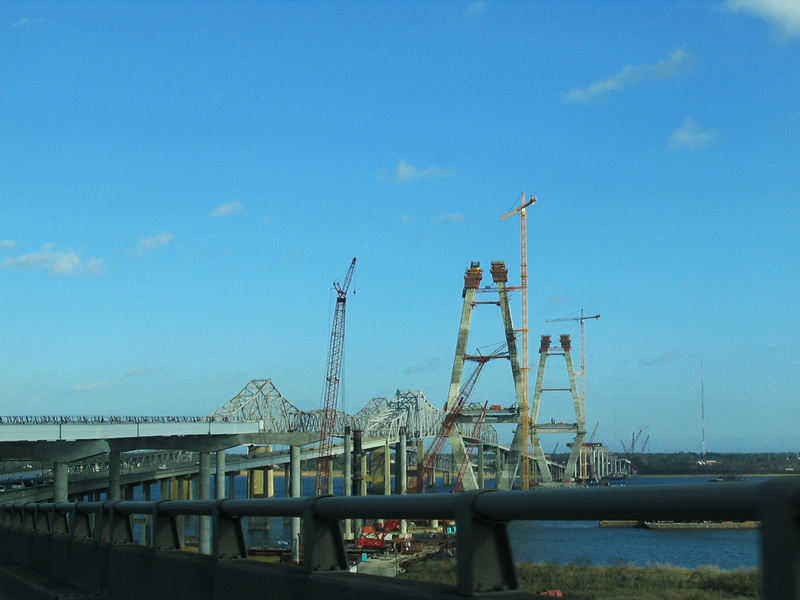 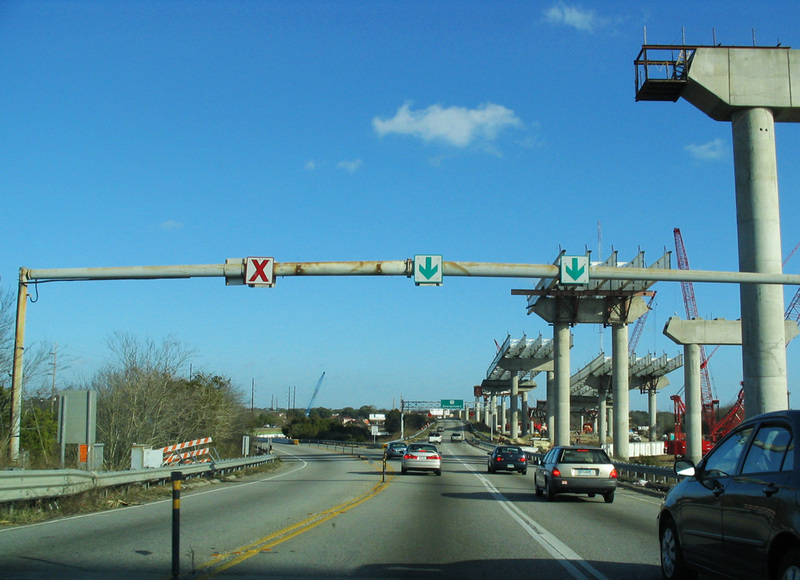 18 months of demolition work commenced on the John C. Grace and Silas Pearman Bridges after the July 15, 2005 opening of the Ravenel Bridge. 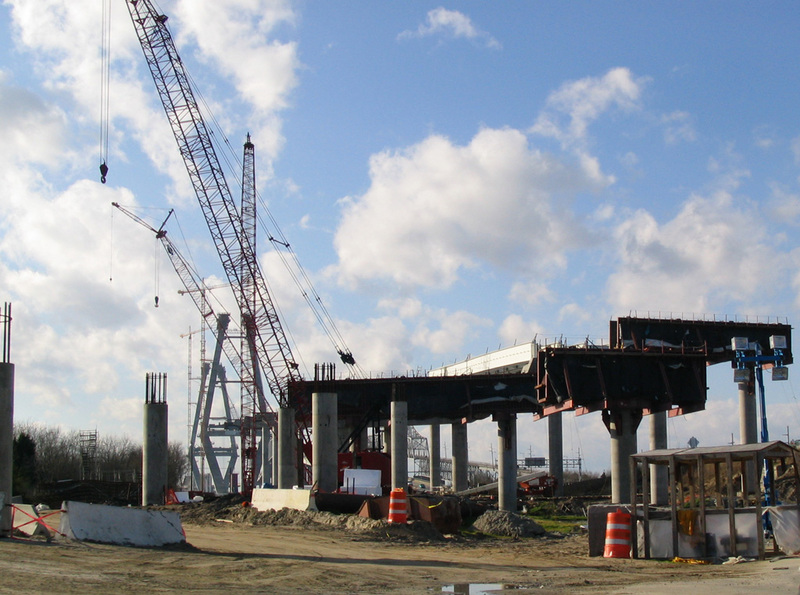 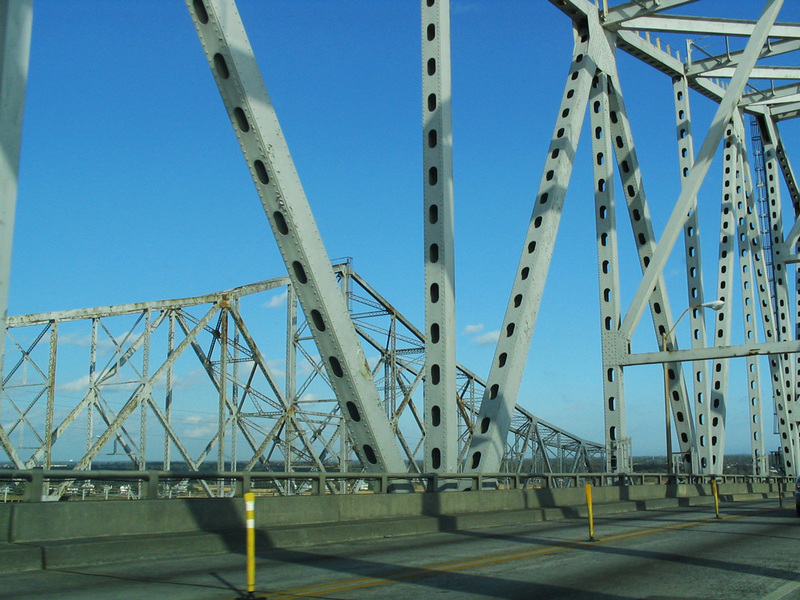 The bridge materials were recycled and used offshore for the creation of artificial reefs.2 The Septima Clark Expressway from Interstate 26 eastward to the cantilever bridges was also dismantled. 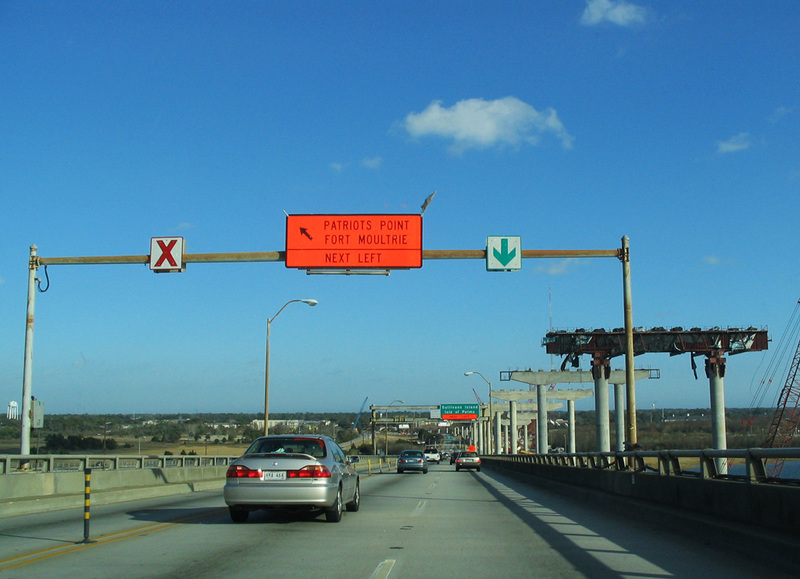 The reconfigured traffic pattern at the east end of the Ravenel Bridge connects U.S. 17 with S.C. 703 (Coleman Boulevard). 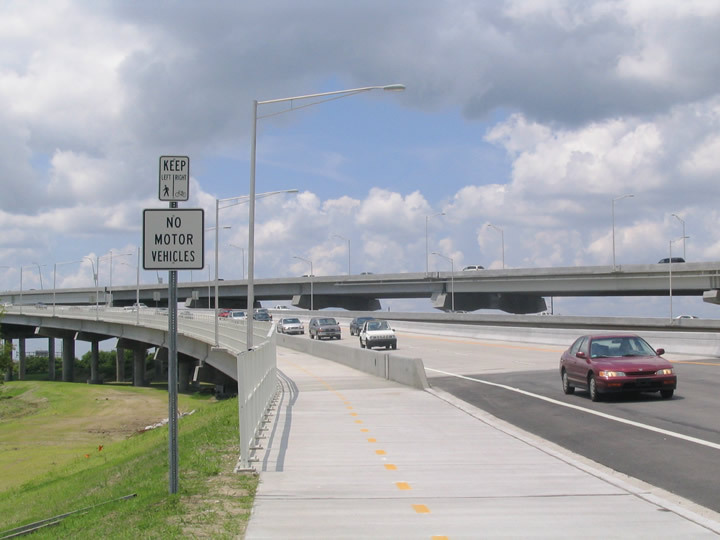 This included the addition of Wingo Way Extension, since renamed Harry M. Hallman, Jr. Boulevard, and its on-ramp to the bridge westbound. 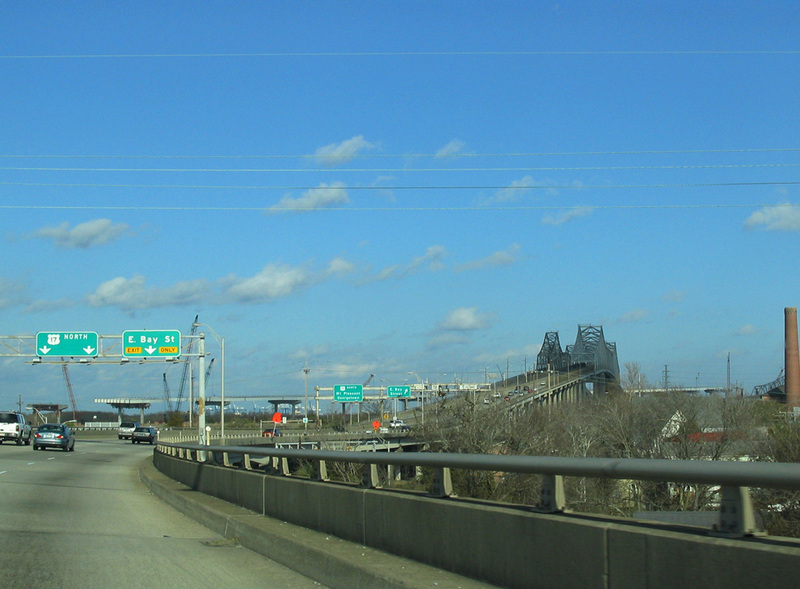 A two-wye interchange joins U.S. 17 with I-26 west of the span, with U.S. 17 overlaying the freeway south to Septima Clark Parkway, its original course southwest toward Downtown Charleston. 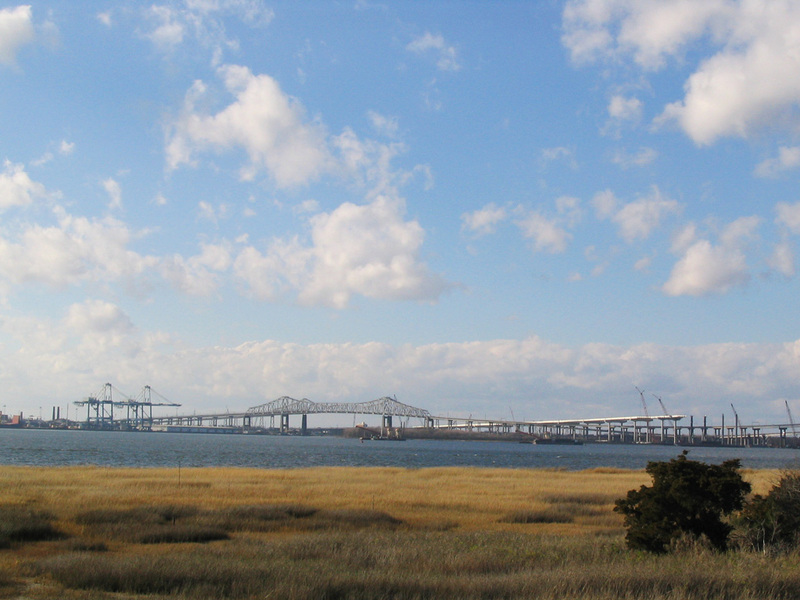 The Cooper River Bridge Site. 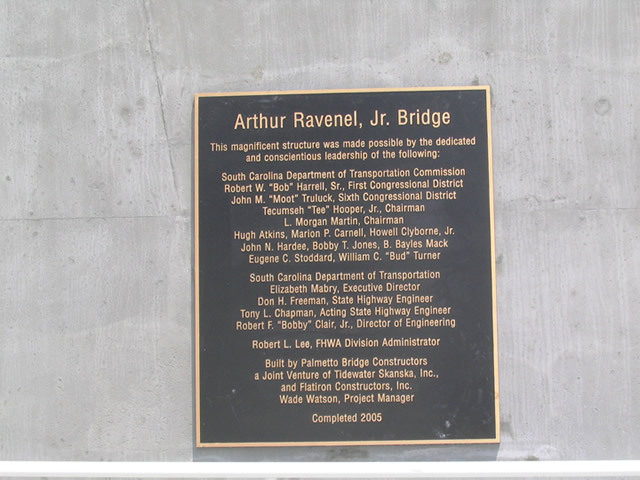 http://www.cooperriverbridge.org/ South Carolina Department of Transportation (SCDOT) web site. 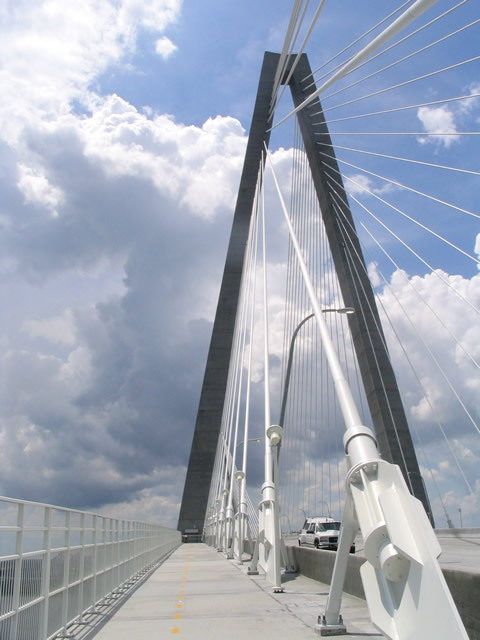 "Bridge new chapter of Charleston history." 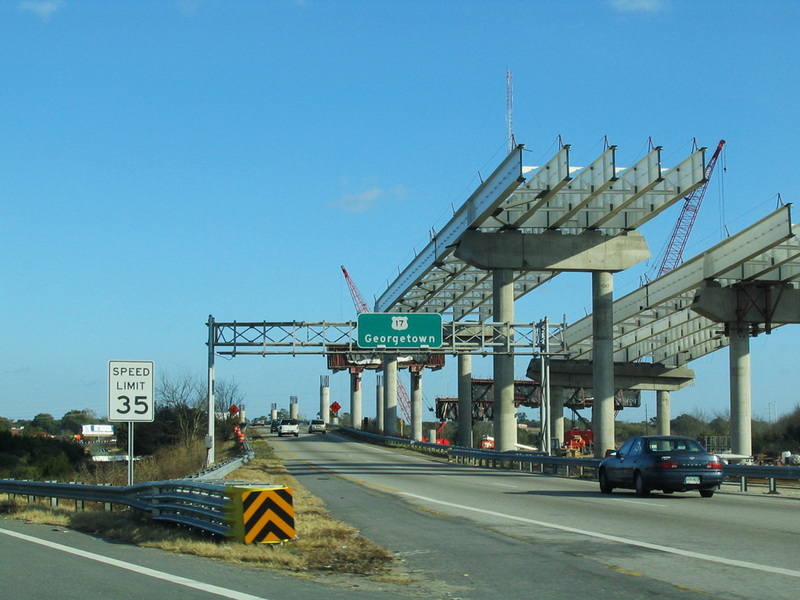 The Charlotte Observer, July 17, 2005. 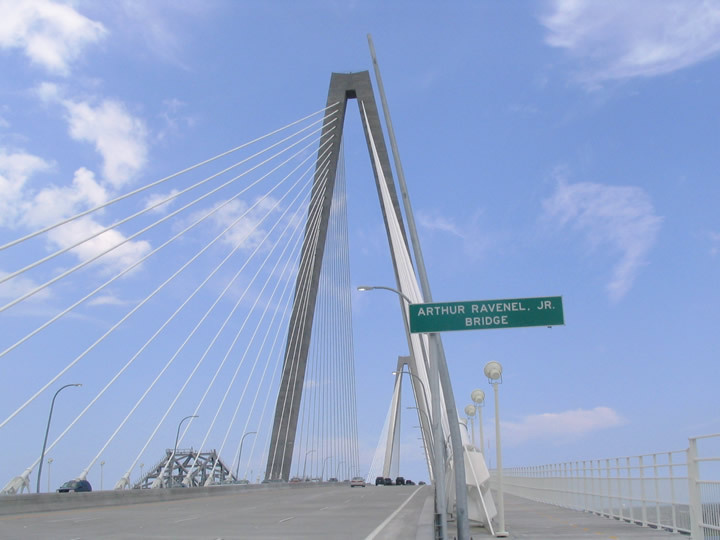 "Massive Ravenel Bridge opens to traffic today." 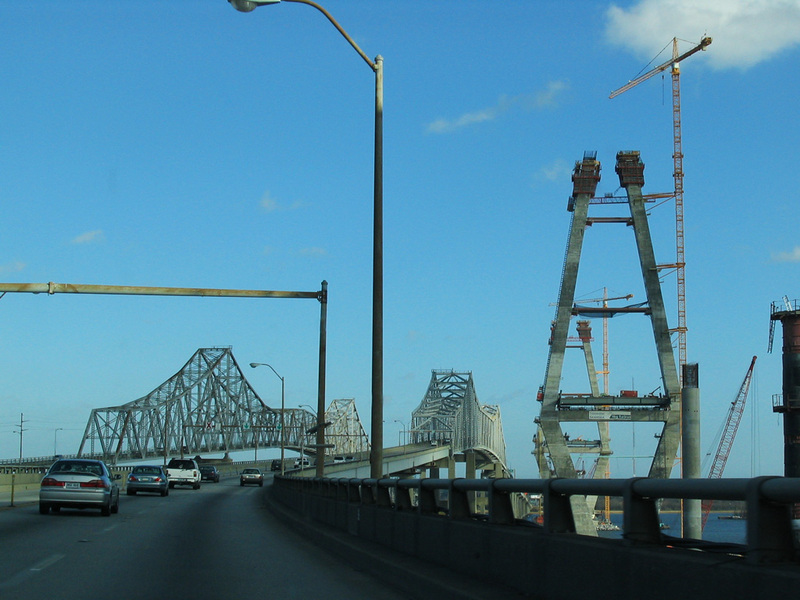 The Times and Democrat, July 18, 2005.